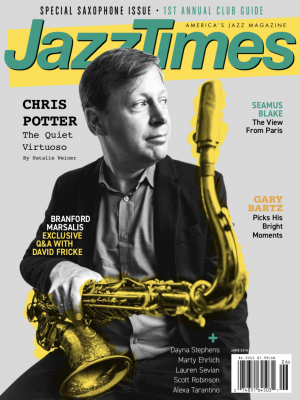 Born in Warren, Ohio, Jones plays with a bright, crisp tone that evokes the influence of Clifford Brown and Freddie Hubbard, combined the melodic invention of players like Woody Shaw. 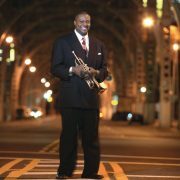 Eternal Journey (Mack Avenue), his debut as a leader, reveals him as a focused bandleader equally skilled in composing and reinventing classic material. He composed the somber “John” after waking from a dream about his father, who tragically died a few hours later. A similar situation inspired the reharmonized version of “Somewhere Over the Rainbow,” which Jones describes as sounding “peaceful yet uncertain.” But along with these more reflective tunes, Eternal Journey also contains plenty of high-flying moments, such as “At the Last Minute,” where drummer Ralph Peterson lights a fire beneath the rest of the quintet. On Curtis Fuller’s “Gullyism,” Jones says he and the drummer “were completely feeding off each other. The changes weren’t as important as the dialogue that we created together.” Eternal Journey also includes bassist Charles Fambrough, saxophonist Tia Fuller and piano duties split between Orrin Evans and Mulgrew Miller.